Robert Baldwin, Music Director for the Salt Lake Symphony, Music Director for the Utah Philharmonia, and Director of Orchestral Activities at the University of Utah shares more of his thoughts on the importance of rhythm, meter, and tempo in music. He shares that music is not a perfect mathematical equation and neither is time in a musical piece. There is always ebb and flow. There is always adaptation, especially in live performances. I’ll be climbing out of the pit after the last run of Susannah tonight. It’s been a great experience, and full of potential for the pondering mind. Inevitability. Events that lead to something else. The Grand Finale. That incessant beat of the clock, metronome, and human heart; counting down to a predestined end. Is this where we find meaningful rhythm and flow? Or is it rather a stream into which we we enter, subdivide, and play? Always present. Welcoming us to participate. Robert Baldwin, Music Director for the Salt Lake Symphony, Music Director for the Utah Philharmonia, and Director of Orchestral Activities at the University of Utah shares his thoughts on the importance of rhythm, meter, and tempo – an aspect of music often neglected when focusing on notes, pitches, timbre, sound quality, etc. Dr. Craig Jessop, director of the American Festival Chorus, stresses this as well. Dr. Jessop uses “count singing” – a method he inherited from studying with Robert Shaw and the Robert Shaw Singers. This is where the notes are sung by singing “One, Two, Tee, Four”. This ensures the musicians keep an “inner pulse” going on inside their head when the time comes to put actual words to the music. It also helps musicians know exactly when notes are moving, beginning and ending of phrases, and note durations. Dr. Jessop swears by this practice. I’ve emerged from the pit thinking about rhythm and tempo. I’m there all week with the orchestra putting together Carlisle Floyd’s opera, Susannah. There’s a lot that can go wrong on stage, and even more with this show as it includes live gunshots! All in all, it was a good first rehearsal. The only lingering issues are finding a consensus with rhythm and tempo. Certainly, these are two things that are very important to my craft as a conductor. 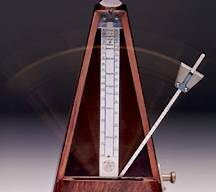 Tempo control, metric organization and rhythmic precision are all something that is a great responsibility for all of us–the conductor, singer, and orchestra. But behind all my admonishments to “watch the stick,” “play the subdivision correctly,” and “don’t rush (or drag),” there is a deeper truth to the importance of flow and rhythm in the music. 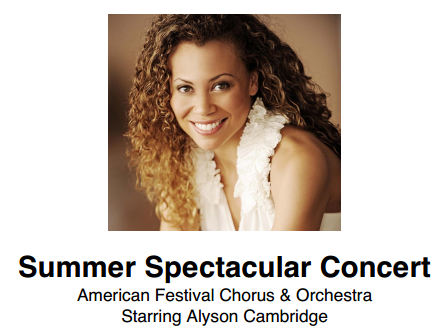 Sun Valley Resort (http://bit.ly/HsFQYh) and Sun Valley Opera (http://bit.ly/HsFYHo) present Sun Valley Summer Spectacular with the American Festival Chorus and singer Alyson Cambridge on June 30, 2012 at the Sun Valley Pavilion in Sun Valley, Idaho. The American Festival Chorus and Orchestra, conducted by Craig Jessop, are joined by Soprano Alyson Cambridge (http://bit.ly/HsGcyg) for this incredible evening of uplifting and beautiful music for the entire family! Come join us in beautiful Sun Valley for this incredible evening! GENERAL TICKETS can be purchased online at seats.sunvalley.com, through the Sun Valley Recreation Center in the Sun Valley Village, or by calling (208) 622-2135/(888) 622-2108. DIVA TICKETS can be purchased online at www.sunvalleyopera.com, or by calling the Sun Valley Opera at (208) 726-0991. Hotel Package available – Spend a memorable evening with the American Festival Chorus and Orchestra and special guest star Alyson Cambridge, then enjoy one night’s lodging in the Sun Valley Lodge or Inn for $133.50, per person, double occupancy, (includes two show tickets). WILL CALL/TICKET OFFICE opens at 6pm the night of the show at the Pavilion. They can also be printed at the Sun Valley Recreation Office in the Sun Valley Village in advance prior to June 30th, 2012. Phone: (208) 622-2135 / (888) 622-2108. Gate opens at 7:00 p.m.
Snocountry.com is offering a special rate for lodging and tickets to the American Festival Chorus and Alyson Cambridge performance. They will be $133.50 per person, double occupancy, (includes two show tickets). Call 800-786-8259. Robert Baldwin, Music Director for the Salt Lake Symphony and Director of Orchestral Activities at the University of Utah, shares his insight into Edvard Grieg’s “Holberg Suite” and Ottorino Respighi’s “Church Windows.” The Utah Philharmonia will be performing these pieces this Thursday at the Libby Gardner Concert Hall. In Back to the Future, Marty McFly (played by Michael J. Fox) travels from 1985 back to the time when his parents were young, ancient 1955. He experiences all sorts of awkward situations, but in the end discovers that he shares many traits with his parents. In essence, they are not really much different (although he is a lot cooler, naturally). Marty learns valuable lessons from the past that help him alter the perspective of his own life (and, of course, save the day). The human mind has always been fascinated with the past, whether it’s our individual lives, or the collective history of an entire civilization. We somehow believe that it is possible to find something important by studying the past. It might be lost wisdom. Perhaps it is secret knowledge. But in the end, all that we are really trying to do is understand something about ourselves. This blog post contains insights into Handel’s Messiah as well as insights into American Festival Chorus’ preparation and performance of our Messiah concert. The following are thoughts and comments from Brenda Poulsen, a member of American Festival Chorus. I have sung Messiah probably 6 or 8 times and each time I am amazed at how such a masterful piece was written in such a short time. The spiritual guidance that Handel must have felt would have to have been such an uplift for him. I truly believe it is a work that was inspired by our Father. How could it not be? Hearing it, performing it, seeing it, is inspiring and engaging for all ages. The story of the life of Christ can be understood by all. The thing that I find most exciting about our upcoming performance is that the theatrical signers will be with us. I have been in performances with them before and i can tell you they bring a magic and a spirit that is like no other. My absolute favorite part is during the “Amens” at the end. Dr. Freeman King performs the whole life of Christ in those few amazing bars of music. It is a powerful performance and it really brings a scene to mind. A small glimpse of what our Father and Handel maybe were trying to portray through this musical work. The tragedy and triumph of the Son of God. You will not want to miss this performance. Dr. Jessop’s insights and interpretation of this work is amazing. The orchestra will be nothing short of fantastic and the theatrical signers, again will bring a new spirit to this piece for everyone who attends. Besides playing the piano and organ while young, Handel also played the oboe and violin. When Handel moved from Germany to England, King George I was his financial supporter. As time passed, less people would attend performances of his operas and he fell into debt. At the time Handel was asked by Charles Jennings to compose the Messiah, Handel’s mother had recently passed away and he was suffering from rheumatism. Handel’s score for the Messiah was over 300 pages in length. While composing the Messiah, Handel would often go without sleep and without food. In one occurrence, one of his servants found Handel asleep with his head on the score with tears on his cheeks, likely due to the power of the music he was composing. In the Messiah, the overture ends on a minor chord suggesting something ominous is about to happen. However the next chord at the beginning of the tenor solo “Comfort Ye” is major suggesting we should feel comforted. The first bass solo “But Who May Abide the Day Of His Coming, For He is Like a Refiner’s Fire” indicates that with our sins, we will not be able to stand before Jesus Christ when he returns to the earth. Most of us associate Handel’s Messiah with Christmas. But, in fact, Handel did not write the Messiah as a Christmas music piece. If you pay attention to the words of the Messiah in the libretto (the text of the music), you’ll see that only the first part of the composition has to do with the birth of Jesus. 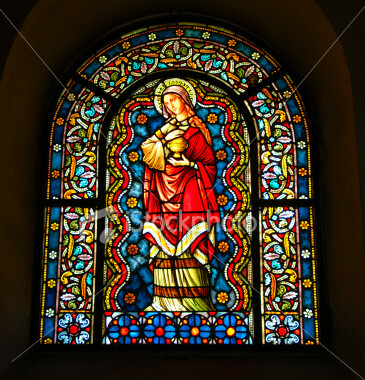 The second and third parts focus on his death, resurrection, the sending of the Spirit at Pentecost, and the final resurrection of all believers. Also, the original performances of the Messiah happened around Easter time or Lent and not around Christmas. For this reason, much of the Messiah is less well-known due to eliminating many of the choruses and arias from the second and third parts that don’t tie in well to Christmas. It is my belief that Dr. Craig Jessop had the desire to perform these choruses that are often forgotten. Although all of the lyrics of the Messiah are taken from the Bible, you may be surprised to realize that most of the text comes from revelations given in the Old Testament and only a little text from the New Testament. The “For unto us” movement has text taken from the book of Isaiah and not the book of Luke. Mozart took Handel’s Messiah and re-orchestrated it in 1789. Originally, Handel’s performances of the Messiah had fifteen violins, five violas, three cellos, two double-basses, four bassoons, four oboes, two trumpets, two horns and drums. The original performances also had only around 19 chorus members. Although other composers rearranged the Messiah and put on larger performances, it is Mozart who became known for adapting the Messiah for much larger scale performances than what Handel had done. Some of the proceeding performances had up to 250 instruments in the orchestra. Post-Mozart performances were also known to reach a number of 2000 singers. Mozart also eliminated the part of the organ and added parts for flutes, clarinets, trombones and horns. Handel gave an annual benefit concert for London’s Foundling Hospital which always included the Messiah. This hospital was a place for orphaned and abandoned children. This was known as Handel’s favorite charity. In 1759, Handel was blind and in bad health. He still found a way to attend a performance of the Messiah at the Theatre Royal in Covent Garden on April 6. Handel died in his own home eight days after this performance. I’ve noticed a few people finding this blog looking for information of the Messiah being performed at the Tabernacle here in Logan, Utah. Dr. John Ribera has conducted this the past seven years, but will not be doing it this year, nor in the foreseeable future. I had a conversation with him yesterday evening. Part of the reason he put on the performance of the Messiah every year was the joint effort of American Sign Language (ASL) theatrical performers which would put on an ASL theatrical performance along with the Messiah every year. This year this group of ASL theatrical performers will be performing with us, the American Festival Chorus. And it appears that these performers will not be joining John Ribera in other years. Dr. Ribera said he has loved putting on this performance every year, but it was very taxing on his family as it took much time and effort. He is fully dedicated to his duties on the American Festival Chorus Board now. We appreciate his dedication and support. I would imagine that there may still be community sing-alongs of the Messiah around Christmas time. I, myself, do not have any details or information about any such events. If you do get word of any, please let me know, as I would love to participate in them in the future. I hope this answers some questions that some of my blog viewers may have. 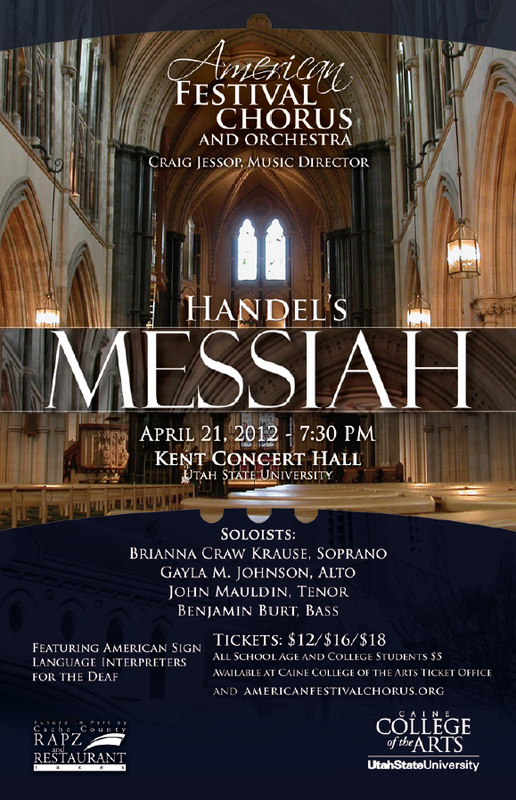 Please come support the American Festival Chorus in our performance of the Messiah on April 21st! The Messiah premiered in Dublin, partly because of the bad reception Handel had received from London residents while composing the piece. Dublin was also a growing city that was trying to edge its way into relevance. Dublin residents strove to display the “sophistication” of the city to Europeans. Handel believed there would be less critics in Dublin and he could try his work out prior to bringing it back to London. The Messiah was very successful in Dublin, and it’s success was echoed in the London debut. A few Houston Symphony Choir members shared their thoughts of performing the Messiah in December 2010. They describe the joy of approaching the Messiah a different way each time it is performed. New conductors will change styles and will have new insights. HSC members describe how they never get tired of performing the Messiah. They also discuss the malismas in the Messiah and the many notes they have written in their Messiah scores over the years. Handel composed his first opera, Almira, by the age of 18. 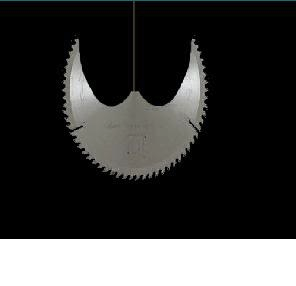 This work was first perform in Hamburg in 1705. Handel’s father originally wanted him to study Law until a friend of Handel’s father heard Handel playing the organ and suggested he pursue music. The majority of Handel’s works were operas since they were the method of bringing in money during the late 17th and early 18th century. It took Handel roughly 3 to 4 weeks to compose the Messiah in 1741. As part of the performance of the Messiah, we are also celebrating the 40th Anniversary of the Center for Persons with Disabilities (CPD) on the USU campus, and we will have some ASL theatrical performers for the Deaf, interpreting the Messiah. This will be a special event! Handel’s Messiah was originally performed at Easter time on April 13, 1742, as the American Festival Chorus is doing on April 21. The Men’s Acappella Chorus of Cache Valley will be performing for the 2013 Logan Summerfest! Ellen Eccles Theatre in Logan UT has been payed off!